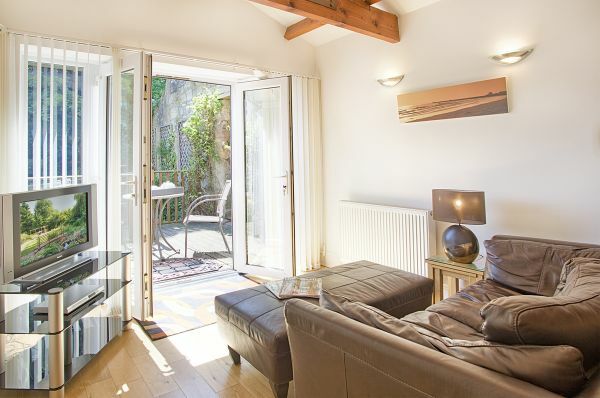 The Garden Apartment is an extension to Fairfield House, a 5 star bed and breakfast guesthouse, and the same high levels of quality have been applied to this open plan studio style apartment. The accommodation has been decorated in a contemporary style, incorporating hardwood flooring and light oak furniture, and comprises twin beds (which can be linked to form a super-king sized bed), a comfortable sitting area with TV & DVD, well equipped kitchenette and wet room style bathroom. Bedding is pure cotton and pillows filled with soft goose down (synthetic pillows available on request). It has its own decked seating area overlooking the garden. The large terraced garden (shared with B&B residents) is south facing and borders on to fields and woodland - which attracts many wildlife visitors. Fairfield House is quietly situated on the edge of Warkworth, a picturesque and historic village which forms part of the Northumberland Coast Area of Outstanding Natural Beauty. An easy stroll down the hill and over the original 17th century bridge spanning the Coquet River will take you to the centre of the village. Warkworth Castle dominates the village and is well worth a visit. In the village you will find an interesting selection of gift shops and galleries, teashops, pubs and restaurants. There is a lovely walk along the banks of the river and in the summer you can hire a boat to row upstream. There is a beautiful sandy beach, which overlooks the RSPB reserve of Coquet Island, just a pleasant 20 min walk from the house. 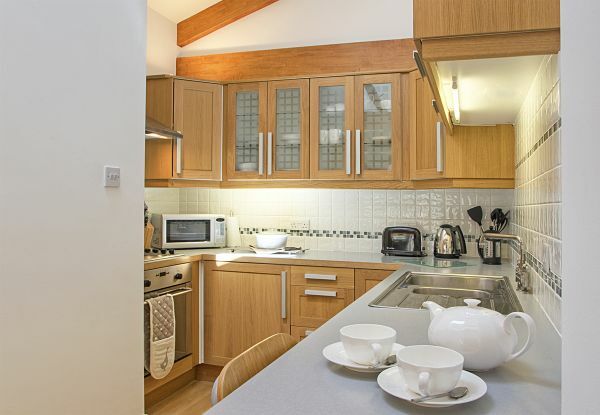 Warkworth is located seven miles south east of Alnwick (famous for its Castle and the Alnwick Garden) making the Garden Apartment an ideal base from which to explore Northumberland's many attractions … or it can simply be a haven for a restful break. This is the most fabulous place to stay. Unfortunately we were only there for one night, as part of a walking holiday, but we were made to feel very welcome and at home right from the outset. Mandy is a very special hostess and Fairfield is a very special place; a beautiful house in beautiful surroundings where the attention to detail is superb and nothing is too much trouble. 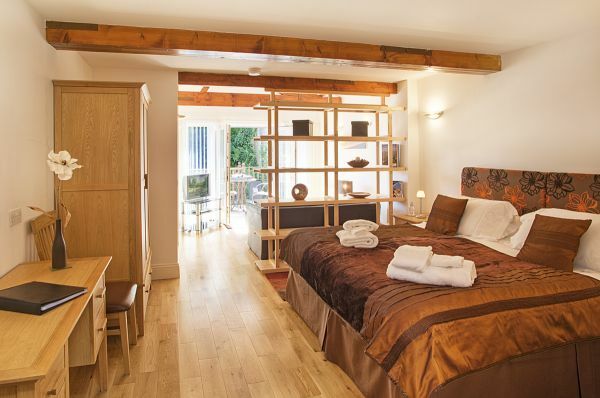 Our room and en-suite were luxurious, immaculately presented and wonderfully comfortable. There seems to be an endless supply of home-made cake and breakfast offered an impressive choice of expertly cooked and artistically-presented food. I cannot recommend this place too highly; it is very special indeed. This is a lovely place to stay and can honestly say I could not fault anything. 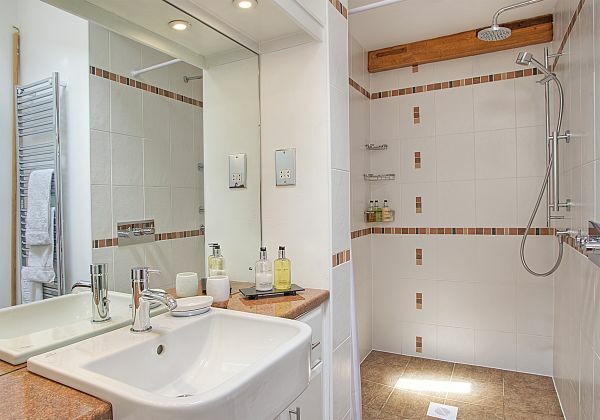 The spacious room was fabulous, tastefully decorated and spotlessly clean with a very large bathroom. The breakfast was lovely and offered a wide choice including vegetarian options. The garden at the back of the house was well kept and had lots of wildlife popping in and out. As other people have said, Mandy was a wonderful host, nothing was too much trouble and even though she was very busy made time to chat to us making us feel very welcome. We stayed for 2 nights in February to walk some of the Northumberland coast. The property is immaculate, lovely decor, gardens and every attention to anything you might need for your stay. The breakfast is excellent and you choose each night what you want to order for the following day. Mandy is an excellent host, we got coffee, hot choclate and a delicious ginger cake on arrival. Warkworth is also a beautiful village and three great pubs. 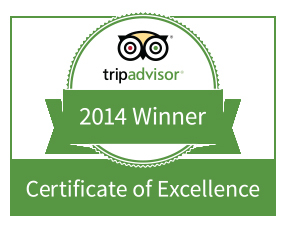 Fairfield Guesthouse ranks amongst the very best we have experienced. Mandy is a most generous and hospitable host offering far more than might normally be expected in a high quality B & B. We stayed three nights and were offered delicious cake and coffee each evening in the comfortable resident's sitting room as well as the availibility of sherry and ginger wine. Our bedroom (Peony) was spacious, spotless and comfortable with a luxurious bathroom and super shower. For those who attach such importance, there is fast wi-fi and a smart tv with all the catch-up, YouTube and Amazon facilities. Other niceties include bathrobes, a corkscrew, bottled water and a potion to spray on the pillow for an even better nights' sleep! It almost goes without saying that breakfasts are generous to the point of being lavish with a huge variety available. On the third morning we simply had to go for the lightest option! 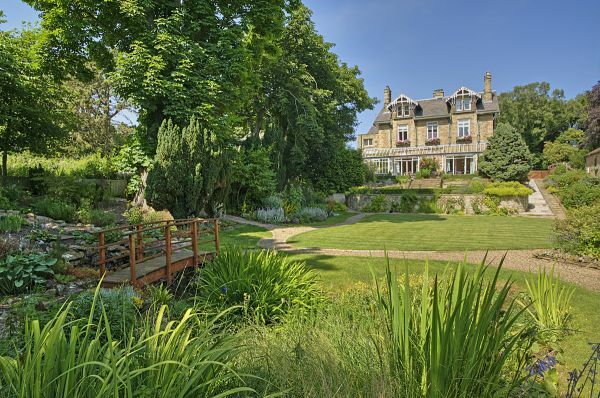 Fairfield is an impressive Victorian mansion, beautifully decorated and maintained, and is only a ten minute stroll to a choice of restaurants and pubs in the centre of Warkworth. Many thanks, Mandy. This has to be the PERFECT B&B. There is not a single thing that I would wish to criticise and every aspect is of the highest standard and quality. The house is beautiful, spotlessly clean everywhere, beautiful rooms, beautiful garden (with deer wandering through during breakfast one day) and wonderful conservatory. High quality furnishings extremely comfortable bed, first rate bathroom with wonderful modern shower etc. Wide selection of hot drinks plus the unexpected extras of bathrobes, cake and sherry / mead / ginger wine. The biggest and best cooked breakfast I can remember with all high quality ingredients and cooked perfectly. 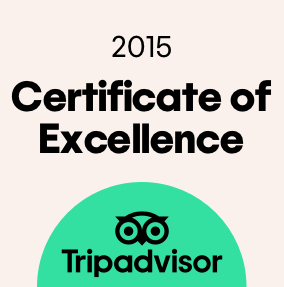 Service extremely friendly efficient and welcoming. Didn't want to come home and hope we will be able to go again. Thank you so much Mandy.